for August 15th are Luminous. 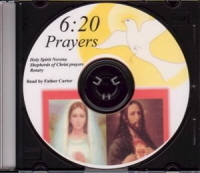 Received from a live recording as Rita delivered these messages from Jesus and Mary before a large group of sisters at a convent. 1. Jesus: I am the Way, the Truth and the Life. Open wide your heart and let Me penetrate your heart with My abundant grace. My dear precious ones, how I long and thirst to be ever closer to your hearts. I wait at the door of your heart and I knock to come in, to be joined ever closer in such deep union with you, to shower My gentle love upon you. I am Jesus! I came to give you new life that you will have this life to the full. Open wide your heart and let Me in. Put aside all the distractions, all of the doubts, all of the worries of this day and let Me talk to you deeply in your heart. Let Me tell you the words of My love and tell you more and more of the mysteries of My life and My mother’s life. I love you! I love you! I love you! I am waiting for a deeper love relationship with you, My beloved spouse. 2. Jesus: The seeds of time move exceedingly slow. You are My soldiers that I am sending into a world that has turned their hearts to stone. I give to you the mighty medicine, My abundant love to plant these seeds in the hearts of all that you touch. I am Jesus. As you dwell more and more in My Heart and My Mother’s Heart, we live in this world through you. I love you! I love you! I love you! It is through the light in your eyes, the love in your heart that many hearts will be changed this day. Open your heart and let me fill you with My grace, My burning love within your heart. 3. Jesus: Life is not life, if it is not rooted in Me. 4. R. See before you as clearly as possible, vividly, the picture of our beloved Jesus with His arms outstretched, His head crowned with thorns, the blood on His face and His body; His body withered and hanging from the cross. He gave the last beat of His Heart, the last drop of His blood. See Him, His withered body as it hung on the cross. Keep this picture in front of your eyes. As we meditate on these glorious mysteries, keep this picture vividly fixed in your mind. 5. R. Next to this picture, of Jesus’ Crucifixion see the picture of Jesus as He rose on the third day, victorious from the Tomb. His glorified wounds, His body glistening in light. Our beloved Savior raised from the dead, victorious! Death has no power over Jesus. We see the withered body of Jesus hanging on the cross and next to this, we see Jesus triumphant on the third day. 6. R. He has all the power. We go through our lives, a constant struggle and rising to new life. All through our day we go through these struggles and as we live in Him as He allows these events to happen in our lives, we rise more and more to life in Him. Every moment of our day, rising to new life as we become saturated more and more on our journey toward our final home in Heaven. Who are we that at Baptism, we are given a sharing in His life that we some day will be united in deepest union with the Father, Son and Holy Spirit for all eternity if we do what God wants us to do. The Rosary is the story of life. The life from the Father, in the Spirit, the life that God the Father sent Jesus into this world in the womb of the Virgin Mary. The Baby Jesus formed in Mary’s womb, Jesus received this life for His little body from Mary, His Mother. The Rosary is the story of life. Life flows from the Father in the Spirit through the pierced Heart of Jesus in the Heart of Mary to us, as we carry His love to all those we touch. 7. R. On the way to Emmaus, Jesus walked with two disciples and He accounted for them all the Scriptures that pertained to Him, from Moses and the early prophets. When they arrived at Emmaus He broke the bread and they recognized Him. Later they said, “Were not our hearts burning within us?” As He accounted for us the Scriptures we read the scriptures, we are given the Scriptures and the Mass. 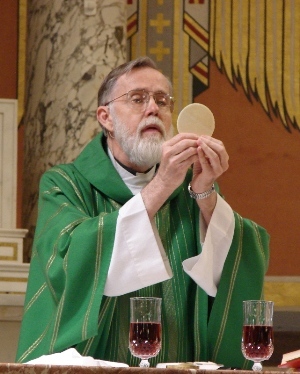 We are given the Sacraments — we are given the Eucharistic Sacrifice of the Mass. We are given these gifts. Jesus is alive! He wants us to be saturated with His grace. The disciples on the way to Emmaus said, “Were not our hearts burning within us?” As He accounted for us the Scriptures, Jesus is giving to us these messages to help us to be filled with His grace in our hearts. Jesus loves; He loves each one of us with the tenderest, gentlest love and He is calling out in these Rosaries from the Hearts of Jesus and Mary to share more and more about Their lives with us as it flows in our hearts. He wants us to know that He is alive and outpouring His life to us. 8. R. On Ascension Thursday, I had such an experience and Jesus called out, “I am alive! I am alive! I am alive!” The emotion that I experienced and the sufferings; not sufferings that hurt, but great joy to hear His words. For He bids me to tell you how He is alive, and for three days I cried to hear what He said and to experience what I experienced. Jesus Christ IS truly the Son of God. The same Jesus that walked the earth and hung on the cross, and was carried in the womb of the Virgin Mary. Jesus Christ is in this room truly present in His Divinity and humanity. He is calling out from the Tabernacle for us to come and to unite in deeper and deeper union with Him. For He longs, He thirsts and He waits for our love. He stands by the door of our hearts and He calls out, “I am alive! I am truly present in the Eucharist. I dwell in your hearts. Minute by minute, second by second I am dwelling within you; when you are in the state of grace, in a special way.” Who are we that God dwells in us? The Father, Son and Holy Spirit dwell within us when we are baptized and in the state of grace. If we could see our own graced soul, to see the beauty of this soul filled with His life. We are given such gifts. Are not our hearts burning within us? Are we not crying out, Jesus is alive! Why do we not stand on the roof top and shout to this world that is suffering and in pain, “the medicine is the love of God.” He is alive and we have the Holy Sacrifice of the Mass, we have the Sacraments. We have the priests. We have you beautiful sisters. We are given such gifts. The Rosary is the story of His life and Jesus is alive! We share in His life through baptism. Are not our hearts burning within us that the Almighty God unites with us? Who are we that God loves us so much? This is the story of His life. Jesus Christ came to this earth. He lived and He died. He gave His flesh and His blood and He remains with us this day in greatest love calling out from the Tabernacle, “I am alive! I am alive! I am alive! I love you! I love you! I love you!” Do we not hear His words, His tender words of love? This is how Jesus loves. He is the bridegroom of our souls. 10. Jesus: My dear special sisters, you are chosen by Me, My beloved spouse. I am waiting and longing to unite ever closer to your heart. I love you with a burning love. I want you to love Me with a heart that is filled with burning love. I am waiting for you. Come to Me in silence. Let Me speak to you as you sit before My Tabernacle, I outpour to you more and more My abundant life. As you are filled more and more with My grace, you understand greater insights into My divine mysteries. I am giving to you a sharing in My life. Each day you understand deeper and deeper these mysteries. The mystery of My love for you. I am Jesus. I love you! I love you! I love you! I am sending you into a world that is filled with many hearts that are turning cold and hard. They are suffering. They are your brothers. Stay rooted firmly in the burning flames in My Heart. You are My beloved sisters, the stars in the sky. I have called you and I want to unite to you deeper and deeper in My love. Song: Come Holy Spirit, Come Holy Spirit.... to be sung after each decade. 1. R. It is in Baptism that we share in His life and we are commissioned to go forth to carry the Gospel Message. To live His life, death and resurrection in our lives as we dwell more and more in the Hearts of Jesus and Mary. The Father, Son and Holy Spirit dwell in us in a special way when we are baptized and remain in the state of grace. Then he took them out as far as the outskirts of Bethany, and raising his hands he blessed them. Now as he blessed them, he withdrew from them and was carried up to heaven. They worshipped him and then went back to Jerusalem full of joy; and they were continually in the Temple praising God. 3. Jesus: I come to you My beloved ones, with a Heart that is burning and filled with My divine love. I give to you a sharing in My life. You were commissioned in Baptism to go into this world and carry out the work that I have begun. My dear ones, My dear sisters, so precious to My Heart filled with burning love, come to Me, for I am waiting and longing for your love. 4. R. We see the apostles; simple men. We see Peter as he denied Jesus three times. They slept in the Garden. We see that they were men that lived and walked with Jesus, yet they had faults. These were the men that He chose to start His Church. Jesus: Thou art Peter and upon this rock I will build My church. 6. Jesus: My beloved ones, The word is mission. I send you into this world My soldiers to go forth and to spread My love. The days here are short. They seem to linger, but the batting of an eye and your life is ended. I call you to love, love of God, love of one another. Many souls are suffering and in pain. They are your brothers. I ask you to love as I have loved you, to pray every day to the Father in union with the Holy Sacrifice of the Mass in the Spirit with Mary your Mother to pray for the souls of your brothers and to offer up all of your actions done in accordance to the Father’s Will. Done in great love. Such a strong prayer — Live in the Father’s Will. Unite your prayers as an offering to the Father through the Holy Sacrifice of the Mass for your brothers, for the souls in Purgatory. This world is suffering and in pain. You must pray as you have never prayed before. I am Jesus. I am calling to you with whatever your state in life is at this moment to be an apostle of prayer, to spend your days living in the Father’s Will with love, performing all your actions for your suffering brothers and sisters. 7. Jesus: Prayers, My dear ones, can stop wars. Pray to your Father, pray with all your hearts. I call for a love relationship with you, that you will love Me with your whole heart, your whole soul and your whole being, not words that you recite, but a consecration to My Heart and to the Heart of My beloved Mother. I am Jesus. I am waiting for you all My dear ones, as I hung on the cross, My arms outstretched. The nails penetrating My hands and My feet. The thorns had punctured My head. My dear ones, I gave My All! But My greatest sufferings was not what you see when you look at the cross, the wounds that covered My body. My greatest sufferings were the sufferings of My Heart for the indifference, the neglect, the sacrileges committed against My Heart. For I would have suffered more for My beloved souls. I love! I love! I love each and every precious soul! I shed My blood for each soul. Each precious soul created by the Father, loved dearly by Him. Will you not pray for your beloved brothers? All of your days is a prayer for this world that is suffering and in pain. I am crying out to you My beloved ones. You are My apostles that I am sending into this world to spread My love. You cannot march on this world. You must pray with all your heart. You are My chosen ones. I AM JESUS! I love you with the deepest love. 8. R. Jesus gave to us His beloved Mother to mother us. She mothers us more than any earthly mother. She leads us on our way; our way to our home in Heaven. Jesus ascended into Heaven to prepare a place for us in our true home. He gave to us His Mother, to mother us, to mother the Church. 9. R. Let our hearts be filled with such joy for the great gifts that we are given. The sharing in His life through baptism, He loves His Church. He gives us the Mass, the Sacraments. He loves His priests, the religious. Let us thank the Almighty God for the gift of His life, the fact that we can share in this. That the Father, Son and Holy Spirit dwell in us when we are baptized and in the state of grace. Dear God thanks for your grace poured out through the Church to us. Who are we that God the Father so loved this world that He sent His only begotten Son into this world? We are loved so far beyond our comprehension. 10. R. Let us bow and bend low and kiss the ground before the Tabernacle, for the Almighty God, Jesus Christ, the Son of God is truly present in this room, the same as the day He carried His cross on His back. If we saw Jesus walk across this room, we would be in awe. He remains in this room with us. He gives Himself to us in the Holy Eucharist. We unite in deepest union with the Almighty God and His Divinity and humanity, His true presence. Are not our hearts burning within us? God gives Himself to us. 2. R. These were the men that were filled with fear. When the Holy Spirit descended upon them, they were transformed from fear to fearlessness. They went out to preach the Gospel message. They saw Jesus die. They saw Him after He rose. They saw Him ascend into Heaven. Peter, who had denied Jesus, now went out and he went from town to town fearlessly preaching the love of God. But many of those who had listened to their message became believers; the total number of men had now risen to something like five thousand. R. He went from town to town and He healed the sick. He knew Jesus was alive. I heard Him call out, “I am alive! I am alive! I am alive!” He calls to us this day to go out into this world and to be fearless soldiers and to preach the Gospel message, the message of His love. We have the greatest gift to give to this world; the love of God alive in our hearts. 3. R. They were locked in prison and they got out singing. The Father, Son and Holy Spirit live within us when we are baptized and remain in the state of grace, dwell within us at every single second. The more we realize this, the more we are not afraid. The more we have the fearlessness of the apostles. If the sun ceases to shine and the earth shakes, I know that I am never alone. God is inside of me every single second, with the deepest love if I am baptized and in the state of grace. As I breathe, as I live, He lives in me and I am united to Him. No matter what goes on around us, we are never alone. 4. Jesus: The sun may not shine, the earth may shake. My dear, dear ones, I am alive and I am with you this day. Open wide your hearts and let Me penetrate your hearts. I want hearts that are burning, in love. Hearts that are filled with fire. Pray to the Holy Spirit to transform you from fear to fearlessness, to fill your hearts with the fire of God’s love. My dear ones, you are given such great gifts of sharing in My divine life and My divine love. My precious sisters, chosen by Me for a special mission, I love you! I love you! I love you! Dearly I love you and wait by the door of your heart. Rid yourselves of any of the walls that are keeping you from a close union with Me. Remove all of the debris in your hearts, any resentment, anger that keeps you from deeper union with Me. Trade any bitterness in your heart for a heart that is filled with My Divine love. I want your hearts holy My dear ones. Hearts that are on fire and filled with love. Hearts that sing with the love of God. Hearts that love; love God and love one another. I am giving to you, My abundant life. I am filling you with great graces. As you are filled, you will march forth into this world and carry this love in your being. As you are in your hearts, so shall you be in this world. Make hearts sing with the love of God. I am alive! I am alive! I am alive! I live in your hearts this day. Jesus: My beloved sisters, I am outpouring to you My grace. I share with you My abundant grace. I ask you to open wide your hearts. Let me penetrate your soul. Come to Me. Remove any walls and know My Divine love. I am alive. For I am longing and yearning to be closer and closer to you. 9. R. The wind may blow and the sun may cease to shine, but in our hearts we know the presence of the Almighty God, the Father, Son and Holy Spirit that live within us and dwell within us. This is life, the presence of His life in us. His burning love in our hearts. We are given such gifts through baptism. Jesus: I love you! I love you! I love you! My beloved sisters, I am longing for deeper and deeper union with your hearts. 2. R. The Immaculate Heart of Mary will triumph and the Sacred Heart of Jesus will reign, and there will be an era of peace. The Father chose Mary from all women to be the Mother of God. God the Father sent His Son, Jesus into this world, in the Virgin Mary. How favored this beautiful daughter of the Father, that He chose Mary to be the instrument whereby He sent His Son into this world. This tells us of the great love that the Father has for the Virgin Mary. 3. R. Life flows from the Father, in the Holy Spirit into the Child Jesus through the Heart of Mary. The Rosary is the story of life. For two mysteries of the Rosary, we meditate on the Child Jesus within the womb of His mother; in Mary. The Father loved Mary so much that He chose her to be the mother of Jesus. The Child Jesus in the womb of His Mother receives His life from Mary’s Heart. 4. R. He nursed at the breast of His mother and received His life from His mother. Mary is our mother. Mary is the Mediatrix of all grace. From the Father, in the Holy Spirit, through the pierced Heart of Jesus flows this life. Through the Heart of Mary, pierced invisibly seven times, and this life flows to us. God calls us to be an instrument to reach others. 5. R. Let us dwell in the Heart of the Virgin Mary. For she dwells in the Heart of her Son. As deeply as we dwell in her heart and in His Heart, we are saturated deeply in His grace. Who are we that we were given such gifts, that we partake in His divine life? 6. R. Do you feel this life within you, in your soul penetrating your being as we are saturated more and more and at every Mass? Each word of the Mass receives more and more meaning as it becomes more and more alive. As we know them more and more, each word of the Scriptures has so much more meaning as we grow to such radiance — being saturated more and more with His grace — an endless source that is never exhausted Our union in eternity depends on the saturation of our life here below. 7. R. As we dwell in the Hearts of Jesus and Mary saturated with this life, this is our little eternity here. The most important thing in our life is our union with Them. As we become one in Him, as we live in Him, through Him and with Him, everything in our life works out more and more according to the Father’s Plan. 8. R. He came to give us life that we would have life to the full. We must strive to live according to the Father’s Will, always doing His Will. The Father has a plan for each one of us uniquely created and so special to Him. Each one of us, His beloved creation. He loves us so much. In this union with God lies our peace and joy. 9. Mary: My children, My children, My dear little children. Come to my heart. Come and dwell in my heart. I will bathe you in my love as the Holy Spirit transforms you more and more into the image of my Son. As you are transformed into His image, you are united more with your Heavenly Father. I am Mary, your mother. Come and dwell in my heart. 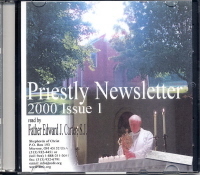 As you dwell in Our Hearts, you will be God’s instrument to spread His love to all. 10. Mary: You are in a battle this day between good and evil. The forces of satan are so strong, my dear little children. You must come to Our Hearts and dwell in Our Hearts for the times will become much more difficult. It is in dwelling in Our Hearts and realizing the presence of the Almighty God, Father, Son and Holy Spirit within you that you’ll be strong soldiers and filled with peace in the deepest struggles and difficulties. You will progress more and more in your life united more deeply to God. You shall dwell and live in Our Hearts. I am Mary, your mother. My dear little children, how gently and tenderly I care for you. I protect you and spread my mantle over you this day. On this special feast of the Assumption, come to my Heart. Consecrate your heart to my Heart. Give your all, my dear little ones. For the rewards that you will receive outweigh any of your expectations. 1. R. At the Holy Spirit Center, the windows in the Rosary Chapel are the Rosary. As we receive more and more of these meditations and these messages on the rosary, the windows are so alive to me. To look at the windows, I am filled with such joy. For I love more and more Jesus and Mary, and I love to meditate on Their lives. I love the fifteenth window, Mary is crowned Queen of Heaven and earth, and Jesus is crowning her, and the Father is above and so is the Holy Spirit. I want to be so united with God forever in heaven. I am so filled with joy when I look at that window. Fr. Carter called dwelling in Their Hearts our little heaven on earth. We are saturated more and more with His grace the more we go to Him in love in the Sacraments, we want to be with Him forever and ever in heaven. R. In the reading this morning they talked about the dragon appearing. We are living in this world and the forces of satan are pressing down. Mary is the new Eve, and Jesus the new Adam. 3. R. Satan prowls through this earth trying to devour all the souls that he can. I see the Blessed Mother over and over again. Her beautiful face as she calls out for the little children that are going to be lost to the fires of hell to see her face and to hear her saying this, “My dear little children will be lost to the fires of hell. Pray as you have never prayed before. I beg you — I beg you to pray. I am your mother!” I hear her say this every time we do The Finding in the Temple for she lost her Child in the Temple and so many of the children are lost this day. She begs us with her motherly Heart and her beautiful face to pray. 4. Mary: You, my dear children are the children of the Light. You are going into battle. Satan intends to devour as many souls as he can. You are My soldiers that I am sending into the fields to spread My light in the darkness. I am filling you abundantly with My love, my motherly love. You are showered with abundant grace. My dear ones, your hearts filled with the fire of the love of God and you will shine as lights in the darkest night. Open your heart and receive all the gifts that are being outpoured to you. Time is urgent. The place is set. Many of my little children will lose their souls and be condemned to the fires of hell. I am begging you to pray. Pray from your heart. Pray with a heart that is on fire for the love of God. My little children will be doomed forever and ever. Pray! My Son Jesus came to this earth to save each and every soul. 5. R. The Immaculate Heart of Mary will triumphant, and the Sacred Heart of Jesus will reign when our hearts are joined to Their Hearts. Let us pray every prayer to the pure and tender heart of our mother praying in Mary’s Heart. With her love for the Father, all the memories that she has in her Heart of the Son. All the love that she has for the Son and the Holy Spirit. Let us pray from her heart and LOVE with her Heart, love God and love one another with a pure and tender heart. Jesus: Pray through the heart of My beloved Mother. 6. Jesus: I come to give you life, that you will have life to the full. Release yourselves. Let Me fill your hearts with My grace. 7. Jesus: The batting of an eye, the dropping of a pin and your life is over on this earth. My dear ones, your true home is in Heaven. Live your lives in accordance to the Father’s Will. With love, always love. Love God. Love one another. Strive to be holy as the Saints, living ordinary lives, but lives of holiness. Lives of love. I am Jesus, your beloved Savior. Come to My Heart and I will teach you the ways of My love. R. Jesus, teach us the ways of Your Heart. Fill us with Your life, that we may know more Your Ways. 9. R. As I walked I knew the presence of the Almighty God: Father, Son and Holy Spirit within my heart. I do not want to ever lose that state of grace by mortal sin. I realize this presence within me; Father, Son and Holy Spirit. God walks with me, God is in me. In my every prayer I am united with God. My heart is filled with greatest joy. The Almighty God lives in me. Who am I that God loves me so much? 10. Jesus: You, My beloved one are My child. I love you! I love you! I love you! Come and dwell in My Heart. I am waiting and longing to be so close to you. Open wide your heart and let Me fill you with My life. As you go to the Heart of My mother, as you model your lives after My mother, you will grow more and more in holiness. If you love and serve your God as He wants, someday soon you will be in the courts of Heaven in deepest union with the Father, Son and Holy Spirit united to all the angels and saints and your hearts will sing. You will know the presence of the Almighty God. Song: Come give me life, abundant life. I thirst to be with thee.